7 February 2018 Build of the Day: Liftoff! 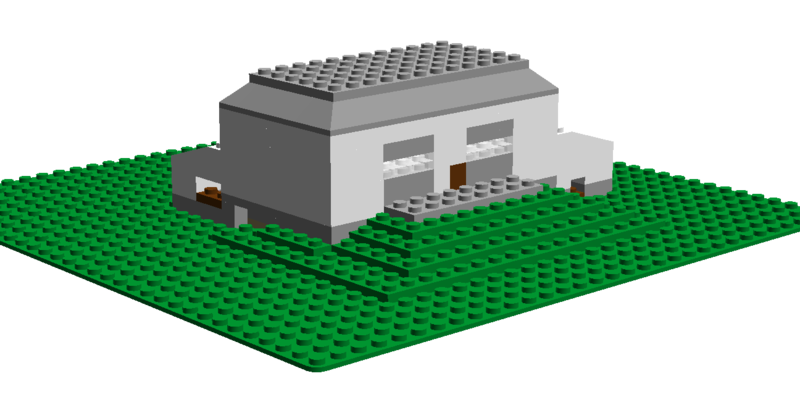 For those of you interested in designing Lego models who want the freedom of not tying up all your bricks while you design, I highly recommend Lego Digital Designer. It’s a great, free program from Lego that contains its entire virtual catalog of parts. It lets you save images and generate building instructions. With additional, also freely available extensions, you can also generate parts lists. You can export LDD files to other Lego building software programs including LDRAW. The only downside is that Lego discontinued CREATOR, which allowed you to upload your designs to Lego.com and to purchase custom sets based on those designs. So you’re and adult and you play with Lego..? It’s the almost inevitable question adult fans of Lego eventually have to answer: you’re an adult, but you play with a kid’s toy? It’s easy to try to reply with all sorts of philosophical and technical defenses of why it’s not even really a fair question and how what one is doing is not playing in the same sense that a kid plays. One can point out that adults play console games designed for kids or indulge in kids television programming. But the fact is, one is playing with a kids toy. It says it right on the box. The fact is that Lego is an imagination toy, and far too many adults left their imaginations in their locker on the last day of high school. Being an adult fan of Lego is an unabashed tilt against that windmill: we can create using a toy, and nobody can stop us, and we better ourselves by doing so. Posted on December 30, 2014 Categories UncategorizedLeave a comment on So you’re and adult and you play with Lego..?